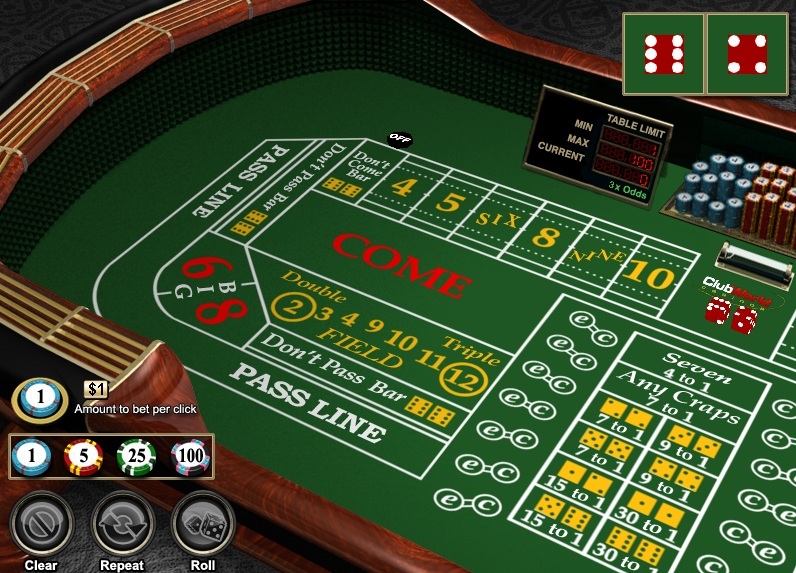 Craps is hugely popular and appeals to anyone who enjoys dice games or just does not want to have to learn strategy before playing casino games. Players can improve their odds of winning significantly by choosing the best bets. There are many craps bets to choose from once you’ve made either a Pass or Don’t Pass wager. Below we offer an overview of the best craps bets. It’s no coincidence that all of these bets are line bets. The Pass Line bet, also called just Pass, is the most popular craps bet. To win with a Pass bet, the come out roll needs to be a 7 or 11, or the shooter needs to roll the point before a 7 after the come out roll. Odds are 251:244. Payout is 1:1. House edge is 1.41%. Players that don’t want to bet Pass also have the option of making a Don’t Pass Line bet. The Don’t Pass bet wins on a come out roll of 2, 3 or 12, or the shooter needs to roll a 7 before the point. It’s tradition for the shooter to bet Pass, so when a shooter bets Don’t Pass instead it is called a “Wrong” bet. Odds are 976:949. Payout is 1:1. House edge is 1.36%. Once players have made either a Pass or Don’t Pass bet, they also have the option of increasing their wager after the come out roll by playing Pass or Don’t Pass Odds. This option is only available if the come out roll sets a point; then players may make an additional bet on whether they expect the dice to hit the point or 7 first. Pass/Don’t Pass Odds are the best bets on the table because they pay true odds and carry no house edge. The odds and payouts are the same, and the house edge on all of these odds bets is 0%. A Come bet is identical to a Pass bet except it goes into effect on the second roll instead of the come out roll with a second point – called a “come-point” – set for Come/Don’t Come bettors. The odds, payout and house edge are the same as a Pass bet. The Don’t Come bet follows the same rules as a Don’t Pass bet except that it goes into effect after the second roll instead of the come out roll. The odds, payout and house edge are the same as a Don’t Pass bet. These two bets follow the same rules and offer the same true odds and 0% house advantage of the Pass/Don’t Pass Odds bets, except they can only be made after making Come/Don’t Come bets. As we’ve already established, the above line bets offer the best odds at online craps. If you want to mix things up in spite of the odds, then players also have plenty of single and multi-roll bets to choose from, but all of them come with a steeper house edge. Betting systems like the Labouchere and Martingale are also popular additions to any craps player’s arsenal. Taking advantage of bonus offers can increase your chances of winning at craps but as always you need to read and comply with the bonus terms.